Freda Kelly was just a shy Liverpudlian teenager when she was asked to work for a local band hoping to make it big. Though she had no concept of how far they would go, Freda had faith in The Beatles from the beginning, and The Beatles had faith in her. In Good Ol’ Freda, Freda tells her stories for the first time in 50 years. 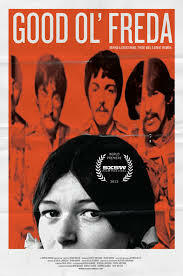 One of few films with the support of the living Beatles and featuring original Beatles music, the film offers an insider perspective on the beloved band that changed the music industry. Good Ol’ Freda director Ryan White joins us for a entertaining conversation on the engaging women who remained the loyal confidant to the most famous quartet in the history of modern music. Ryan White and Freda Kelly will be doing Q&As at the Sundance Sunset in West Hollywood on Friday, September 6 and Saturday, September 7. 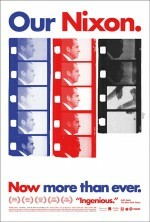 Throughout Richard Nixon’s presidency, three of his top White House aides documented their experiences with Super 8 home movie cameras. Young, idealistic and dedicated, they had no idea that a few years later they’d all be at the center of a history-making impeachment scandal. This unique and personal visual record, created by H.R. Haldeman, John Ehrlichman and Dwight Chapin, was seized by the FBI during the Watergate investigation, then filed away and forgotten for almost 40 years. 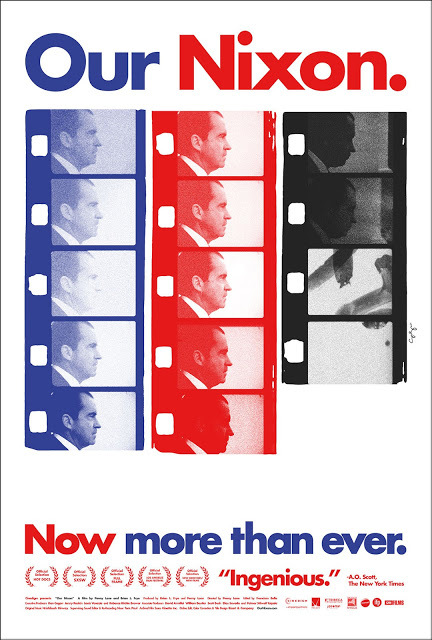 OUR NIXON is an all-archival documentary presenting those home movies for the first time, along with other rare footage, creating an intimate and complex portrait of the Nixon presidency as never seen before. Director Penny Lane stops by for an informative and engaging chat on the discovery of this long forgotten film treasure and how it may affect the legacy of one of the most divisive presidents in American history. 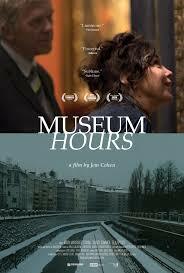 In the Kunsthistorisches Art Museum in Vienna, Johann is a security guard who finds a special quiet magic at the institution. One day, a Canadian woman arrives on a compassionate visit to the city, and the two strike up a friendship through their appreciation of art. That relationship helps put all the other goings on at the museum and in the city in perspective as Johann observes and participates in them in a world where art can say so much more than a casual visitor might know. Director / Writer / Producer / Cinematographer / Editor, Jem Cohen (Chain, Benjamin Smoke, Instrument, and Evening’s Civil Twilight in Empires of Tin) joins us for a discussion on love, friendship, life and art. Once a rising star in the ’70’s New York art scene, 80-year-old “boxing” painter Ushio Shinohara is prepping for his latest show, hoping to reinvigorate his career. His wife and de facto assistant, Noriko, seeks her own recognition through her “Cutie” illustrations, which depict their chaotic 40-year marriage. 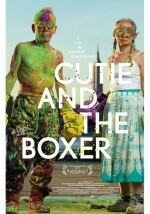 CUTIE AND THE BOXER captures two lives united by a dedication to art-making for a touching meditation on the eternal themes of love and sacrifice. Director Zachary Heinzerling joins us for to talk about his touching film about a relationship that defies an easy explanation. 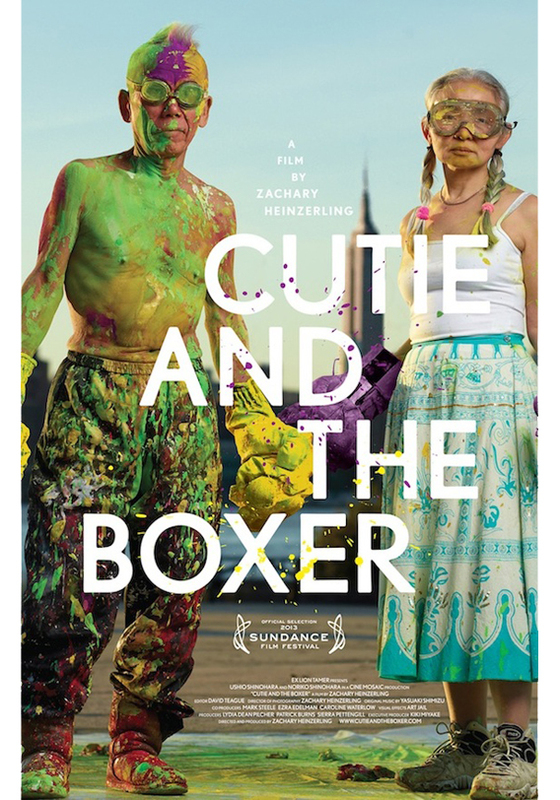 Director Zachary Heinzerling In Person Fri, Aug 16 at 7:30 & 9:40pm! Each year, 60,000 people from around the globe gather in a dusty windswept Nevada desert to build a temporary city, collaborating on large-scale art and partying for a week before burning a giant effigy in a ritual frenzy. 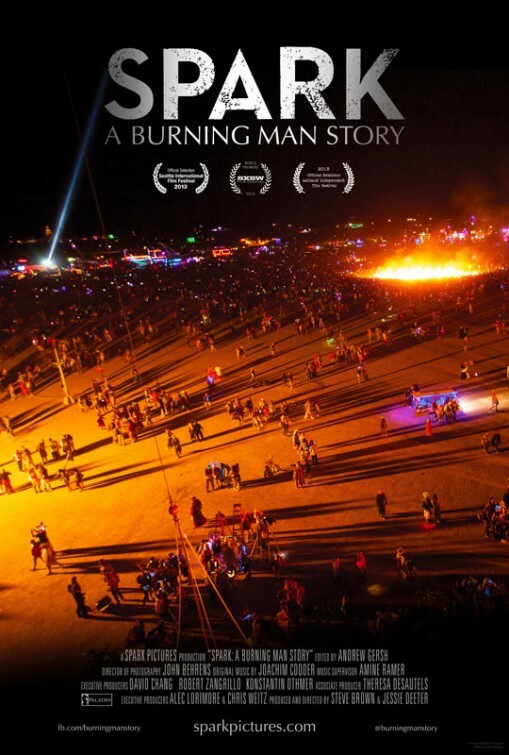 Rooted in principles of self-expression, self-reliance and community effort, Burning Man has grown famous for stirring ordinary people to shed their nine-to-five existence and act on their dreams. 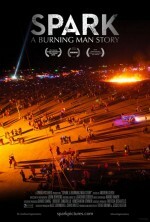 Spark takes us behind the curtain with Burning Man organizers and participants, revealing a year of unprecedented challenges and growth. When ideals of a new world based on freedom and inclusion collide with realities of the “default world,” we wonder which dreams can survive. Co-Director / Producer Jessie Deeter stops by to discuss the challenges of making a film about the chaos and community that make up one of the world’s greatest annual spectacles. 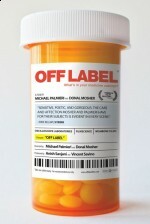 From human guinea pigs testing drugs for pay to behind-the-scenes marketers to consumers struggling with life-altering illness, Off Label examines the medicated margins of American society through the stories of eight lives haunted by the commercialization of medicine and personal identity. Welcome to the strange pharmacy that is America. 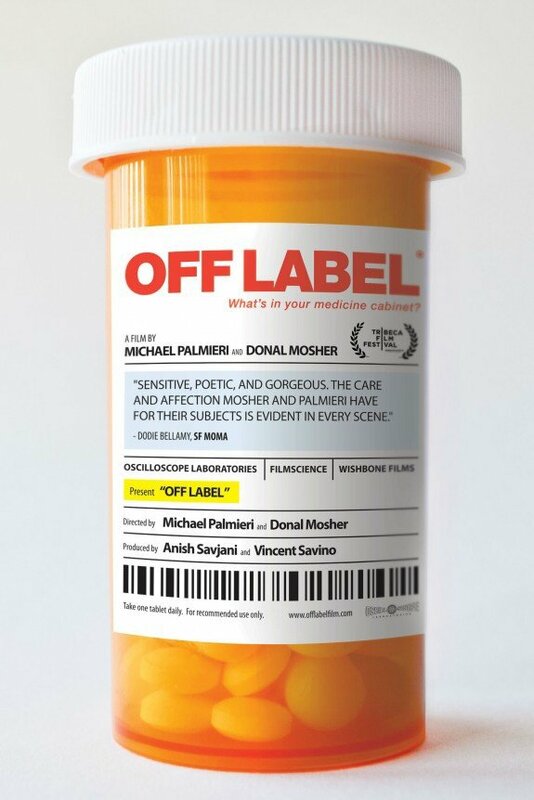 Award winning film directors Michael Palmieri and Donal Mosher joins us for a very lively discussion on the impact that “legal” drug abuse is having on our country. 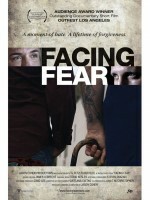 The worlds of a former neo-Nazi and the gay victim of his senseless hate crime attack collide by chance 25 years after the incident that dramatically shaped both of their lives. They proceed to embark on a journey of forgiveness that challenges both to grapple with their beliefs and fears, eventually leading to an improbable collaboration…and friendship. Director Jason Cohen stops by to talk about this remarkable tale of two men and their capacity to see the world in a different way. A unique documentary-style science fiction thriller, EUROPA REPORT follows a contemporary mission to Jupiter’s moon Europa to investigate the possible existence of alien life within our solar system. 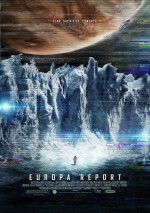 When unmanned probes suggest that a hidden ocean could exist underneath Europa’s icy surface and may contain single-celled life, Europa Ventures, a privately funded space exploration company, sends six of the best astronauts from around the world to confirm the data and explore the revolutionary discoveries that may lie in the Europan ocean. Director Sebastian Cordero stops by to talk about the challenges of making smart, engaging, fact-based science fiction.